These fleecy RRRUFF! 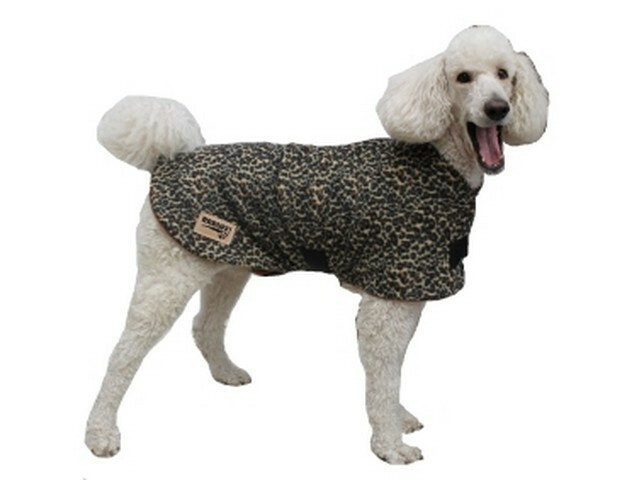 dog coats are so soft thanks to their minky fleece which is not too thick, but just enough to be very luxurious. All RRRUFF! 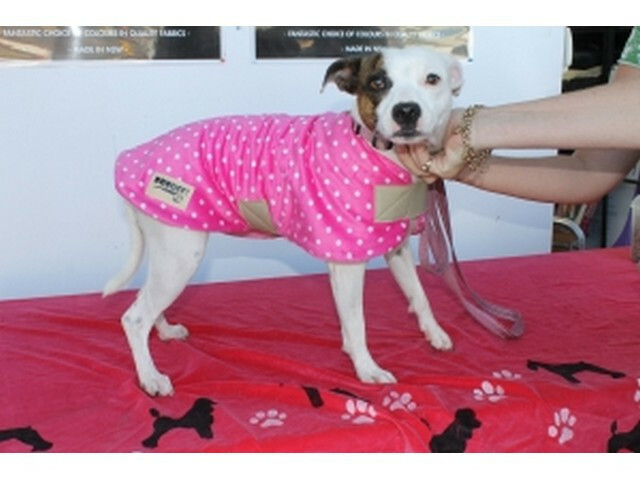 dog coats are hand made on the premises at the RRRUFF! Dog Depot in Warilla, just south of Wollongong, NSW. 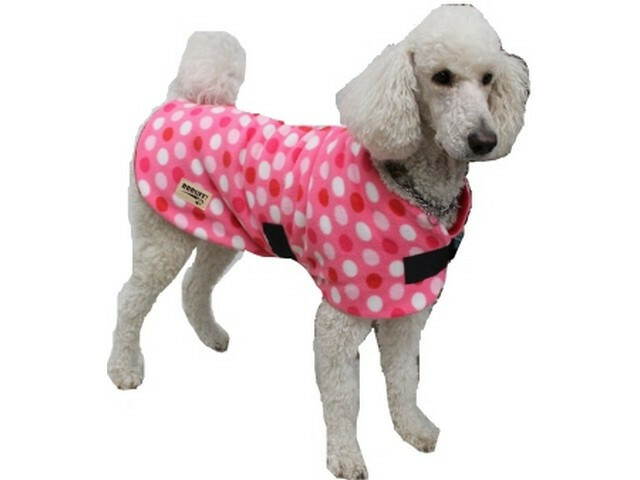 Made in a simple style, the coats will fit both petite and chunky dogs. 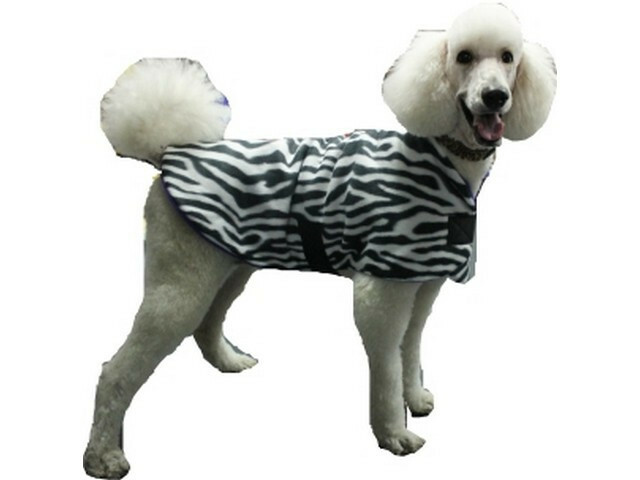 When making the dog coats, velcro is used under the belly and across the chest. 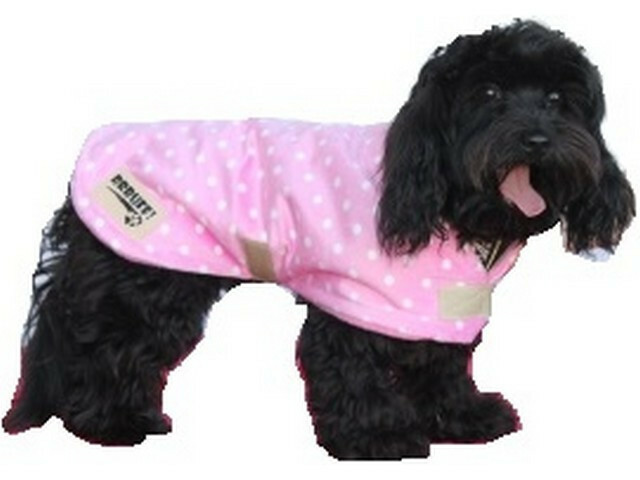 The coats are generous in width, and will wrap across the chest making a snuggly fit for your dog. Comfy enough to sleep in, without buckles and hard bits, and suitable to wear outdoors without getting the belly band wet and uncomfortable from wet grass. If there are other colour styles you like that aren’t on our website, contact us via our Contact Us page and we’ll see what we can do! Measurement is from neck (collar) to tail bone. Make sure the dog is standing when measuring, as sitting elongates the back.